Today the workplace is not equipped with computer, perceived as an anachronism, and the organization, not having the automated jobs just will not be able to produce competitive products. Therefore, the profession technique and programming is one of the most popular. These professionals will always find work in computer centers, banking institutions, enterprises and organizations working in various fields. Regardless of what kind of education a programmer is a technician or engineer to be successful in this profession, it is necessary to set some special personal qualities. First of all, he should be able to think logically and to calculate the event many moves ahead. It will also need the care, diligence and be able to engage not only creative work, but rather routine. Sometimes to bring to life a creative idea, he will need to spend more than 90% of the time for its implementation, and debugging programs. Of course, without the dedication and perseverance in this profession can not do, as well as without a developed intellect, ability to the exact Sciences and the ability to concentrate. To apply for a job as technician-programmer, the person should have a vocational education, it is very good if it will also work experience in this specialty. Of course, what will be the work of a technician-programmer, depends largely on what region it will work, what kind of work the company does. But of course, there are General requirements and knowledge that will be useful in any workplace. 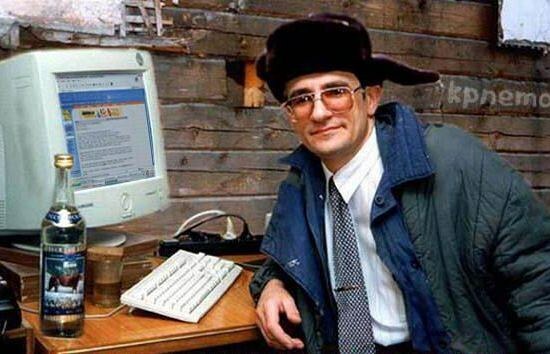 First of all, he must have an excellent knowledge of computers and shared with them the device, and the devices gathering, processing and transmission of information, rules for their operation and maintenance. Need to know the methods and techniques of automated information processing, basic programming languages, specialized software used in the operation of this facility. The duties of a technician-programmer usually includes work to ensure the smooth running of computer systems and technology that is installed on the user desktop. He will need to perform preparatory operations, associated with local computer networks to monitor how to operate the workstations, to provide technical assistance. It may require the development of simple tools and working programs that allows to optimize the production process, it must make debugging and testing. In some cases, he may entrust the preparation of simple schemes of technological processes of processing of different information streams at the enterprise or a separate solution algorithms for those tasks, which stand before the IT Department. In many enterprises, technology-programmers engaged in maintenance of databases, content, storage, processing. Engineer in any enterprise must be able to work with large data sets, know the rules of their archiving and storage, it needs to have an idea about what the company does, insight into technological processes. Since the beginning of 2000 programmers are in great demand everywhere: from the offices of BTI, to science labs. And the demand for programmers grows, employers are going to all the conditions to get some good specialist. Therefore, programmers are paid quite high therefore many people wonder "How do you become one of them?". Unfortunately, there is no single answer - each programmer had their way to Olympus computer science, but some things have to know every aspiring coder. - knowledge of programming languages. Learn the basic mathematical disciplines. To learn mathematical analysis, probability theory, linear algebra, analytic geometry, differential equations, etc is unlikely, therefore, act in school mathematics specialty. Besides, the best programmers and winners of most programming competitions – namely the graduates of the faculty of mechanics and mathematics. Learn algorithmization. You should be able to make algorithm for solving any mathematical problems. If you can create an algorithm, then, can portray him in the form of lines of code in any programming language. Without knowledge of algorithms person can call themselves a programmer. Learn any programming language. Classic primary language is Pascal. The fact that its syntax is extremely simple, easy to remember, even at school and a well developed knowledge of algorithms. Later, when you're not peeking in the tutorial you will be able to solve serious tasks in Pascal, then move on to learning C++. This is a more complicated language, but it is built on the basis of the principles of object-oriented programming. If you master C++, other languages will surely follow. Decide as a programmer in what area you want to be. For example, web programming. Today, every second firm is seeking to create its representation on the Internet, and each third has its own website. Therefore, Newspapers with vacancies are full of advertisements about finding a web programmer. The average salary for a php coder in the province is 40 000-50 000. per month. But the web programmer it is important to have a portfolio with implemented projects. Find a job. As a rule, the mathematical Sciences graduates are still in the 4th year dismantled as programmers for various offices. If you don't have higher education, have to pass programming course in any language or in any field. Of course, there are employers who are not interested in your credentials, they only need your abilities. But the more demand there will be a specialist that has the desired crust coupled with the ability. To become a programmer, it is not enough to learn any programming language. A real programmer should be able to solve the problem first in the mind, and only then to transform the solution in a line of code. Choosing courses for programmers, pay attention to the licenses giving the right to conduct educational activities. 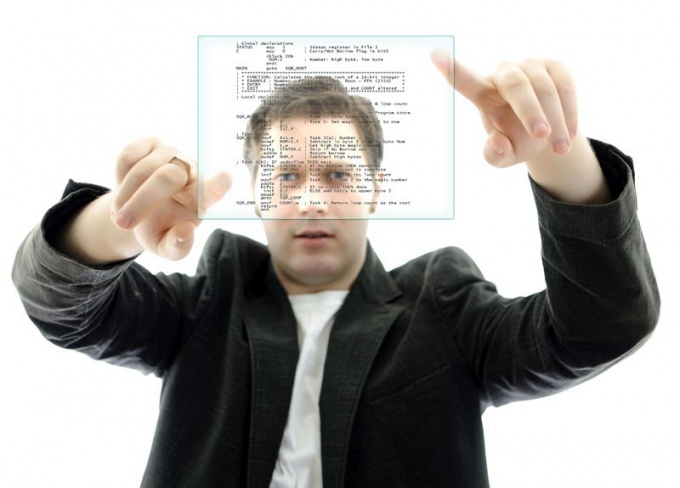 There is a risk that your diploma will not have any effect in the eyes of the employer. Profession of programmer requires specific skills and knowledge that relate not only directly to programming languages. A good specialist needs to have an idea about the structure of the computer; have knowledge of the English language, to be able to make mathematical calculations and to build the formula yourself. There are no specific criteria that are essential to any programmer. However, to be successful in your business, you need to have certain skills and characteristics. A good programmer needs to imagine that such an array, hash table, linked list. Specialist will be familiar with concepts such as Fibonacci heap, growing trees, skip-lists, AVL-trees, etc. depending on the specialization he must master the algorithms of implementation of the tasks to know the procedure of search, selection, passing the data structures, building graphs, matrices, and be familiar at least with basic principles of dynamic programming. The most important is to have the appropriate knowledge in the field of Informatics and how to use a particular terminology. System programmer needs to understand the purpose of the compiler to understand the Assembly language, have some knowledge about virtual memory and the structure of the operating system code in General; he is obliged to possess information about sockets to understand networking and network protocols. The programmer must be fluent in the language of the subject area in which he spetsializiruetsya. Knowledge of PL implies that you are able to use available tools to solve certain problems. A successful person knows several programming languages and is able to adapt the methods used for their tasks or under their specialization. The programmer must study the user's behavior and expect different actions and reactions that must be implemented in the interface of the future program. The knowledge of the programmer is also conditioned by its specialization and profile of YAP, as well as the objectives, which it implements through it. For example, when writing code in Java or C# it needs to know used libraries, typical situations of programming. A good specialist is able to avoid recurring structures in code and the ability to create their own programs in accordance with the problems that are solved in the application being developed. The programmer should be able to communicate both with customers and with colleagues. Large software projects require the programmer the ability to interact and competently Express their thoughts and conception of the project. Knowledge of a foreign language for the programmer and allows him to explore various non-translated technical documentation, which in the field of computer science a great many. Foreign language will let you communicate with foreign customers and make more money. 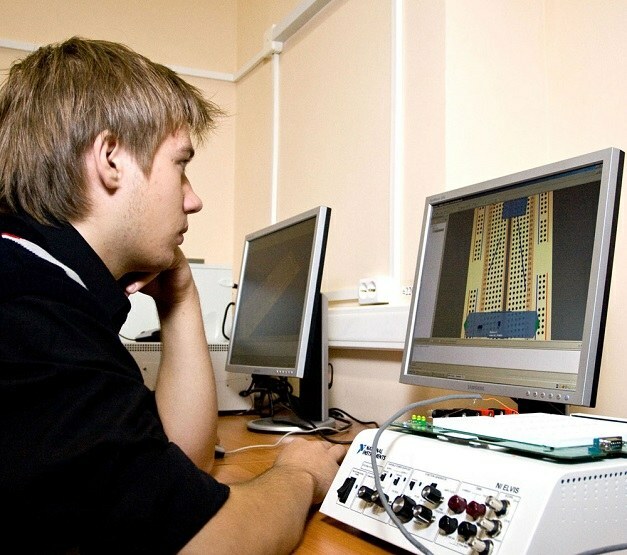 The development of IT-technologies has led to the fact that the profession of programmer today – one of the most popular and the most attractive according to surveys of youth. Before the person wishing to become a programmer, the question arises: what to do in order to master the skills of programming? What programming language should learn first? Approval experienced geek to become a programmer and to learn all the nuances of the profession, you need to constantly program. A lot of long and sometimes even boring. Because, as you know, writing code is the programmer 30% of the time, the rest 70% will be spent on finding bugs and then fixing them. Because think about it, and is it worth it? Generally the job of a programmer is to write various programs – understanding of profession in a global sense. You can often hear that programmers referred to as almost all people working with computers, for example, system administrators. This erroneous determination. If you definitely and irrevocably decided to master the programming skills, then you need to choose a training institution. To master the profession of a programmer is not necessary to graduate from high school, enough College. There you will get decent theoretical base and practical skills of programming, get acquainted with the languages and basic programming algorithms. However, not everything they teach you in College. You know, to learn a profession in perfection and become the master of his craft, will have in the future a lot and hard to learn independently. Programmers can be divided into two groups: system programmers and application programmers. First write a program serving the computer and its components, e.g., drivers of different devices. Application programmers supports in good working condition that created a "systems analyst". The labor system programmers are paid higher than the application. To become a "systems analyst", it will take a long time and a lot of experience. However, the market of vacancies people of this profession is highly in demand. Programmers are programmers, database, labor, and skills which are also assessed adequately. Their work is related to accounting systems and require attention. The opportunity for creativity is minimal. Yet there are programmers skriptovyh, that is, they develop scripts for programs that are scripts. And there are many different specializations for programmers. So the choice is. As for higher education institutions, many of them are programmers. And you can go to College, passing a College. The main thing – to understand the essence of the profession, and it is to be able to think big, strategically, to understand the construction of the program and how it will function in different ways.